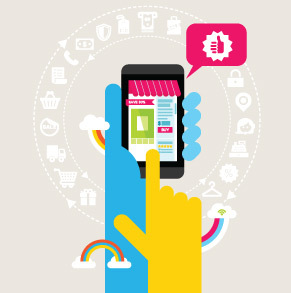 Solutions for CPG manufacturers: powerful analytics to help predict and activate the entire shopper journey. 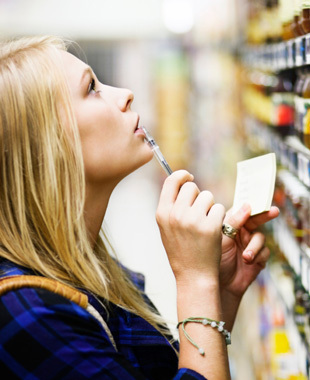 The shopper is no longer a mystery – at least she shouldn’t be for CPG manufacturers. With Manthan’s portfolio of advanced analytics products, you can understand shoppers better (even intimately), identify and predict what they want, and know exactly how and where to reach them, with offers and promotions that they are most likely to prefer. Demand Signal Management: Enabling CPG manufacturers to identify demand and streamline supply. If you as a CPG manufacturer were to have real-time insight into shopper behavior (especially shopper behavior in-store) imagine the impact that it would have on your ability to understand and predict demand. And of course, plan supply accordingly. That’s what Manthan’s Demand Signal Management for the CPG industry promises. Shopper Analytics: An analytics solution customized to meet the unique demands of your CPG brand. Not every brand faces the same challenges. Shopper Analytics helps you to understand the unique challenges that your brand faces with the shopper and then addresses them with a customized analytics package. Remember that with every new challenge you discover, come new business-building opportunities as well. Manthan CPG featured in Consumer Goods Technology Magazine's 2014 Technology Solutions Guide for Data. 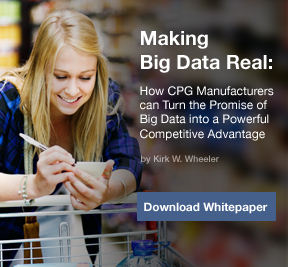 Kirk Wheeler, EVP and GM - Manthan CPG Practice, speaks to Consumer Goods Technology on managing Big Data and a roadmap to realizing the Shopper Activation opportunity. Kirk Wheeler, Executive VP/GM, Global CPG Practice, Manthan talks about the importance of a close collaboration between CPG manufacturers and their Retail Partners in truly activating their shopper’s journey. Download a copy of our brochure to learn how Manthan's comprehensive range of solutions enable shopper marketing opportunities for the CPG manufacturer. Infographic on how CPG manufacturers can better understand and activate shoppers along the 6 steps of the shopper's journey. Kirk Wheeler, EVP and GM - Manthan CPG Practice, speaks to Consumer Goods Technology on managing Big Data and the Shopper Activation opportunity. Kirk Wheeler, EVP & GM, Manthan CPG interviewed by Consumer Goods Technology magazine, on the opportunities in understanding the 'Shopper Journey'. Manthan to showcase Shopper Analytics and Shopper Journey Activation solutions in the 2015 Consumer Goods Sales and Marketing Summit, June 1-3, New York. By the shopper's side throughout the journey. Shopper Marketing is at a nascent stage. But growing in influence and evolving at a fast pace. How do you predict shopper preferences? Access to downstream data can provide insights to CPG manufacturers. Here are 3. Influencing shopper decisions at multiple stages. True shopper marketing is being able to track and influence shopper decision at every stage in the journey.